Sperry Top-Sider and Extra Butter have teamed up again for a 1980s inspired collaboration this Spring/Summer 2015. The “Caddypack” Collection is a play on the old school country club, featuring fun prints and mixed materials in an exclusive one-of-a-kind shoe box. 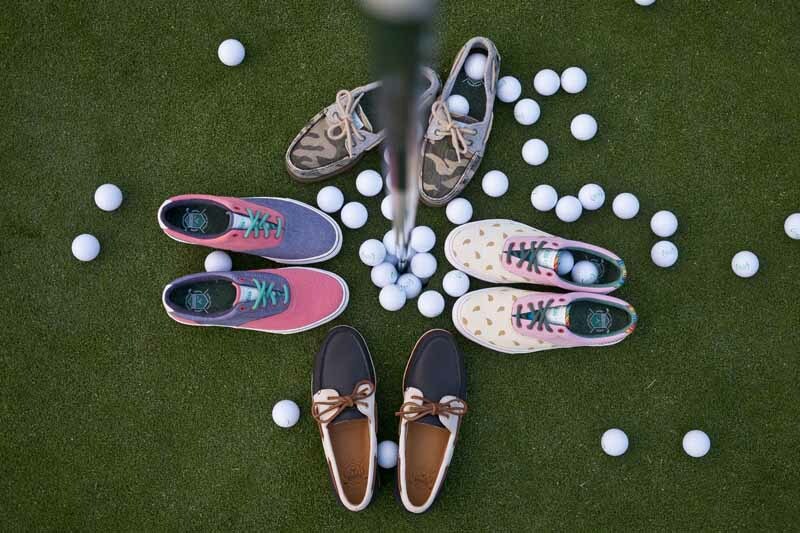 The whimsical colors and iconic Sperry silhouettes make this limited edition collection a summer must-have. The Sperry x Extra Butter A/O (Authentic Original) and CVO styles retail from $85-$95, and the Gold Cup boat shoe, exclusive to Extra Butter locations, retails at $160. Product will be available for purchase starting June 20th at select Extra Butter stores, Attic in Buena Park, CA, and on extrabutterny.com.